Are you tired of poor quality cleaning services that cost a fortune and you need to reclean by yourself after that? With Right Cleaning There’s no such option. Our cleaners are very well trained and motivation and the quality of domestic cleaning we provide is our priority number one. 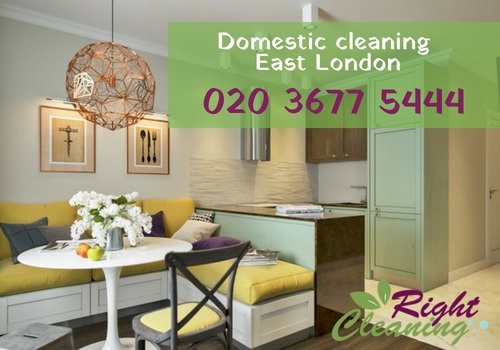 We offer house cleaning services in East London areas that can be booked on a daily, weekly and fortnightly schedule in accordance with your current needs. Our cleaners in East London follow a complete checklist that covers all areas in your home but of course, you can request some additional services as ironing or deep oven cleaning for a small additional fee. Don’t hesitate to call us for additional information and a free quote.